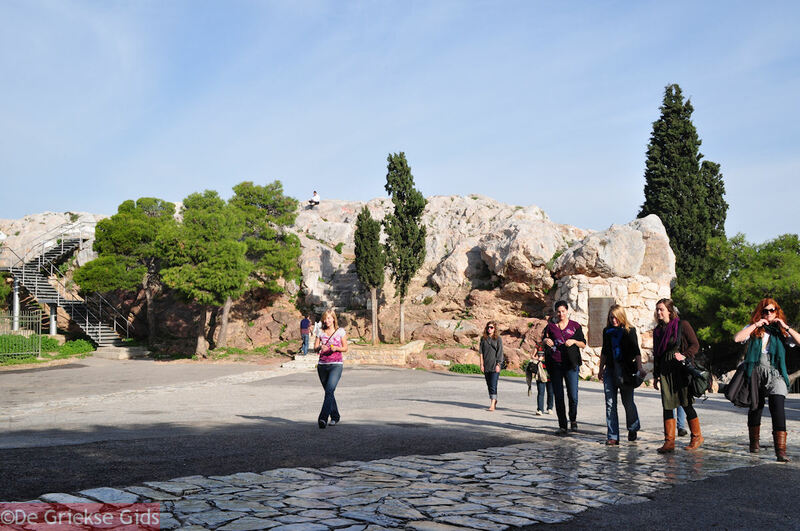 Areopagus Hill in Athens. 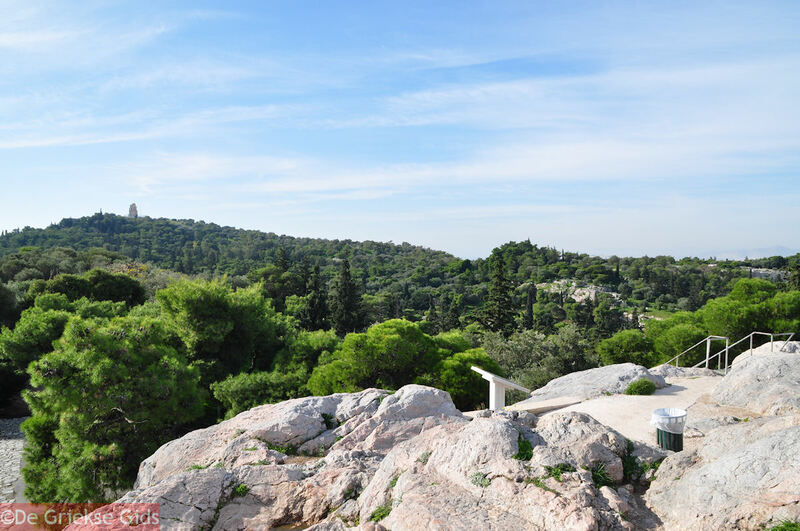 West of the Acropolis are the Areopagus Hill, the Philopapou Hill and Pnyx. 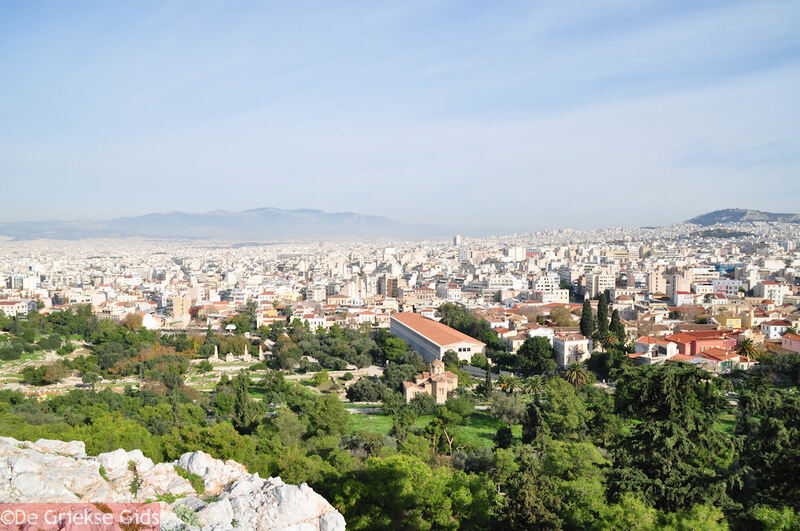 These are easily accessible via the northern side (Monastiraki) and Apostolou Pavlou street or along the south and the Dionysiou Aeropagitou street. These places are located in a green environment. In ancient times the Arios Pagos was the highest Athenian court. 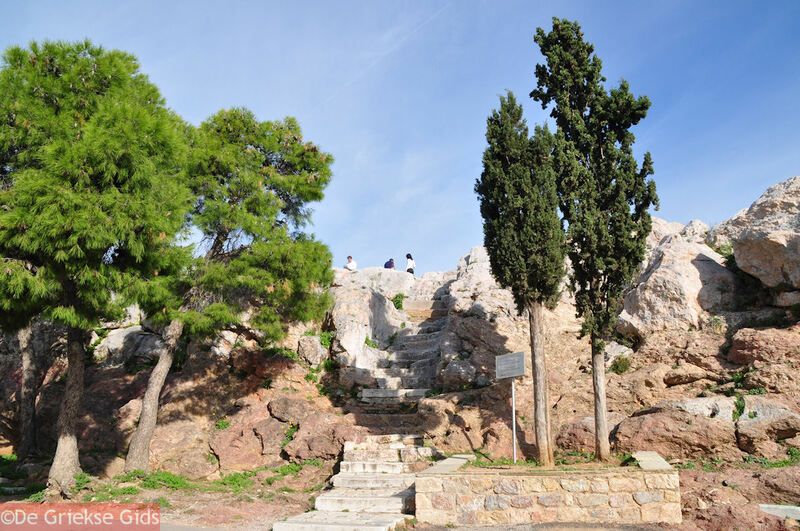 The public gathered on a small rocky hill west of the Acropolis. Here legal and political meetings took place. It is actually the oldest court and was highly respected in ancient Athens. In the early days this was also the seat of the first aristocratic parliament (in the 5th century BC) but later it was used only as a court. 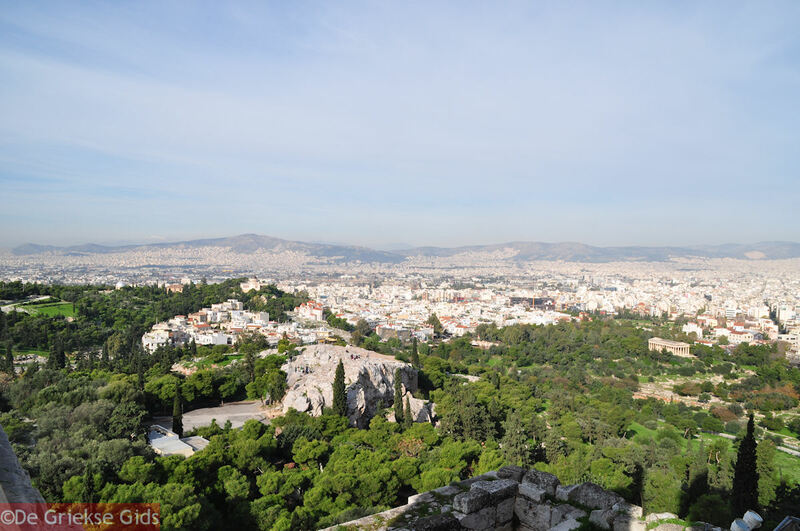 In the first century AD, Apostle Paul stood on this as he spoke to the Athenians about Christ. 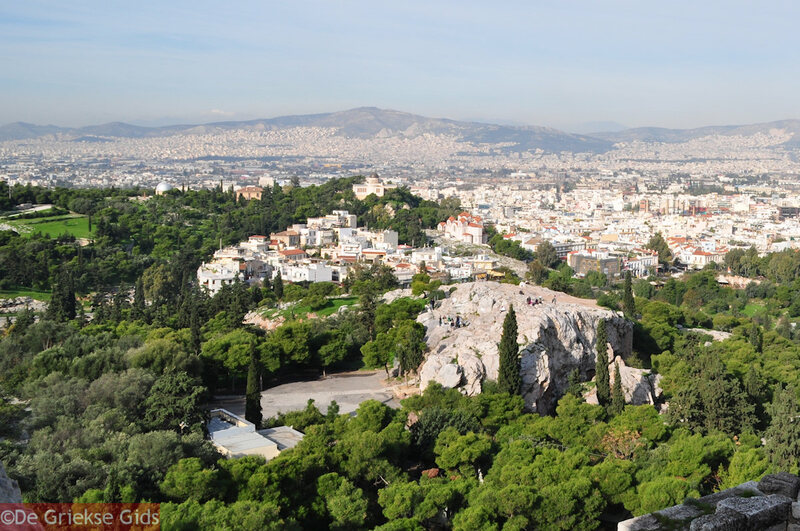 From this rock you have a very nice view to the Ancient Agora. 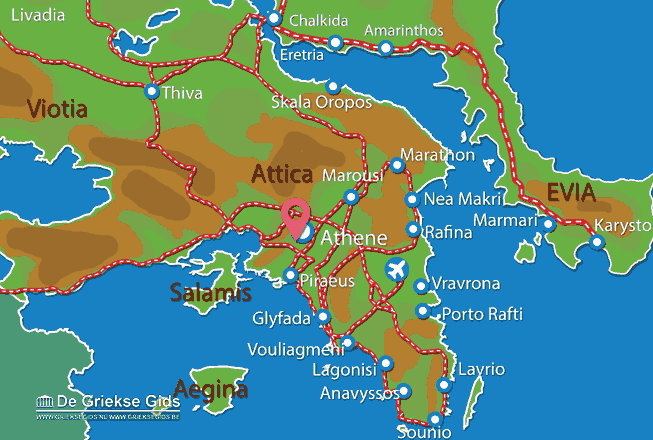 Attica: Where on the map is Areopagus Hill located?